Apologies to all for not keeping this page current. We have kept out Facebook page current, but we've let this one lapse. We haven't done more simply because Restore Louisiana Now has no staff and I have zero technical competence. I'm tired. We're all tired. So is the other side. So far we have made the oil lobbyists work harder than they have ever worked. I'm dragging but I also see them dragging around the Capitol every day. They come up and complain to me about how hard they have to work. You get to a point in a battle where everyone is tired. The one who wins that battle is the one who puts out just a little more effort. So we're asking for another effort on your part-- and we need it right now. Tomorrow afternoon the Senate will vote on a motion to send SB 469 to the Judiciary committee. SB 469 goes right for the jugular. It says the flood protection authority cannot sue the oil industry over damage to the coast, period. If we win, it will be huge. If we win, the odds for winning the war shift in our favor. Phone and email your senators. Tell them to let the courts decide. Send SB 469 back to the Judiciary Committee, where it should have been in the first place. And if SB 469 is voted on for final passage, vote to kill it. With less than 24 hours’ notice Governor Jindal, backed by the oil and gas industry, proposed legislation that would preclude the constitutionally-mandated levee authority (the SLFPA-E) from pursing oil, gas and pipeline companies for damages they caused to Louisiana’s coast. The proposed SB 469 passed in committee: No notice. No consideration of the broad impact it would have on the survival of the Greater New Orleans area. Leadership should ask these questions and demand answers: Does the bill apply retroactively? Or does it apply only prospectively? If the oil, gas and pipeline companies named as defendants in the SFLPA-E lawsuit use the bill to kill the case against them, what will that mean for coastal protection in the greater New Orleans area? 1. SB-531 Set in Judiciary A. On Tuesday, April 29, SB-531 was on the agenda for a hearing in Senate Judiciary A. It was deferred at Sen. Allain’s request, likely because a canvas of the members indicated it would not pass. 2. SB-469 Set in Natural Resources. Late in the day on Wednesday, April 30, Sen. Allain proposed an amendment to SB-469, a bill authored by Sen. Adley. The amendment deleted much of SB-469 and substituted much of the language of SB-531. It added Sen. Allain as a co-author. This procedure is highly unusual and may violate the Senate’s Rules. 3. SB-469 Approved. Before the language to the amended bill could even be finalized, it was brought forward for a committee hearing in Natural Resources. Although Sen. Moorish and many of the people who testified objected to the short notice, the Committee heard the bill the next morning, Thursday, May 1. It was approved there and sent to the Senate floor. 4. SB-469’s Stated Purpose (Allain). Sen. Allain testified that he authored SB-531/469 because he “knew about the natural servitude of drain.” He further stated the SLPFA-E lawsuit’s reliance on Louisiana Civil Code articles on natural servitude of drain put coastal landowners at risk of liability. Coastal landowners aren’t sued in the case, and SLPFA-E has stated it will not add them. Sen. Allain isn’t a lawyer and may misunderstand the finer points of the law. Further, his comments as to the legal tenets and legal implications of the SLFPA-E lawsuit underscore why the law was referred to the Judiciary Committee in the first place. 5. SB-469’s Stated Purpose (Faircloth). Jimmy Faircloth testified that the bill would allow the oil companies to file exceptions and have the SLPFA-E’s lawsuit dismissed but that the rights of the parishes to bring lawsuits would be protected. He didn’t explain why such a dichotomy made sense as policy. 6. Retroactivity Raised, but Not Answered. Glad Jones asked whether the amended bill was intended to apply retroactively. Mr. Faircloth never answered this question. One difference between SB-531 and amended 469 is that 531 specifically stated it was retroactive whereas 469 doesn’t contain that language. The senators are entitled to know which it is: prospective or retroactive? 7. The Parishes Suits Have Different Scope. The lawsuit brought by SLFPA-E is designed to provide one thing – protection for the lives and property of taxpayers in the Greater New Orleans area from hurricane storm surge. 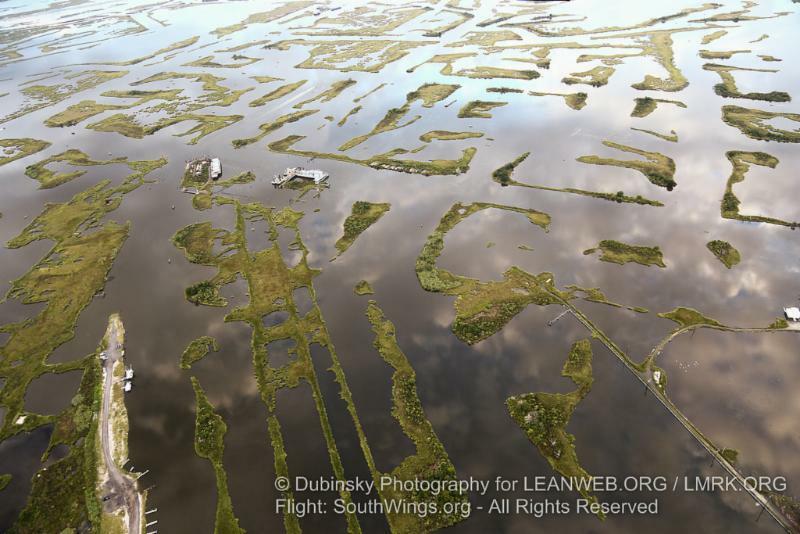 The coastal lands protect the levees, and the levees protect the people, and the SLFPAE’s lawsuit is aimed directly at those goals. There is no other viable mechanism for obtaining this protection – not any state proposed alternative and not the parish lawsuits. The 28 separate parish lawsuits aim to enforce coastal use permits. But, the parish suits do not directly address land loss; they do not directly address hurricane protection; and they do not address at all the tens of thousands of acres of protective wetlands that were lost as a result of oil and gas activity between 1932 and 1978. Any restoration undertaken as a consequence of the parish lawsuits might result in some measure of hurricane protection, but hurricane protection is not the intent of those suits by any measure. Furthermore, in those parishes with separate levee districts, the parishes and the levee authorities have distinct responsibilities over distinct properties and, therefore, distinct claims and distinct damages. Last, but certainly not least, the cost of the post-Katrina repairs was over $15 billion, so it isn’t difficult to see that giving the oil companies immunity from such claims could saddle taxpayers with responsibility for many billions in additional expenses for problems caused by oil and gas activities. 8. Dismissals Are with Prejudice. If Faircloth’s prognosis is accurate about the exceptions, the SLPFA-E’s suit will be dismissed “with prejudice” which means that no suit can ever be brought on the same subject matter in the future. 9. Dismissal Forecloses Settlement. Attorney General Caldwell has suggested he has had discussions with the oil and gas industry about working out a settlement related to coastal litigation. Allowing the SLFPA-E’s lawsuit to proceed would only help in that effort. a. The lawsuit is often described as employing a “shotgun approach.” It does not. The activities of each defendant are described by permit number, pipeline, well serial number, and/or right of way. Historical aerial photography shows the damage over time caused by the described activities. c. Adley and Allain have described the servitude of drain claim as novel and weak, but the theory has been on the books since the Digest of 1808. Other cases employ the same theory in similar circumstances and, importantly, the author of the Code revisions, Professor Yiannopoulos has endorsed the theory for this application. d. Adley (and Garrett Graves, former CPRA director) often says the lawsuit wasn’t conceived in sunlight. But CPRA used exactly the same executive committee process as the SLPFA-E used in considering CPRA’s Corps suit, it is standard practice for public bodies to discuss litigation in executive session, and the SLPFA-E attorney contract has been with the House and Senate Transportation Committees since August of 2013.
e. Adley often confuses the discussion of retroactivity by saying that what the oil and gas did wasn’t illegal when they did it and that the SLFPA-E is applying new laws retroactively to the oil and gas industry. But this is wrong. Internal memoranda show that the oil and gas industry knew what the laws were and knew it was breaking them. 11. Interference with the Courts. The legislation interferes with the courts in contravention with the separation of powers delineated in the Louisiana Constitution, especially in Art. II, Sec. 2. These proposed laws would potentially affect the rights of parties in the currently pending SLPFA-E lawsuit and LOGA’s suit against the Attorney General – the suit LOGA just lost. Interfering with pending cases is something the legislature should be reluctant to do. 12. Potential for Unconstitutionality due to Due Process and Impairment of Contract Violations. The legislature cannot take away rights of private parties and these laws do that in several ways, including by purporting to terminate SLPFA-E’s contracts with its lawyers. 13. Generally Bad Policy to Give Rights to Some Person or Industry, But Not To Everyone. These laws would give special rights and immunities to oil and gas that aren’t widely applicable to all individuals and entities. 14. The Voters and Thought Leaders Don’t Want This. Polls and editorials by all major newspapers are against what the legislature is doing and are in support of SFLPA-E’s lawsuit. First, last week Louisiana’s Attorney General Buddy Caldwell made public something I've hinted at in my talks: there are on-going conversations about a statewide settlement. On the Jim Engster radio show last week (listen here), Caldwell announced that because of the SLFPAE lawsuit, major oil companies have come to him seeking a statewide settlement. We've always hoped that the lawsuit would spark a statewide deal. Conversely, we’ve recognized that if the legislature kills the lawsuit, there's no reason for the oil companies to compromise. There is a solution if the state would simply seal it. The governor has turned his back on that possibility. As citizens, lets make sure the legislature does not. Thanks to your engagement, we were today on the verge of crushing SB 531—a huge victory—in Senate Judiciary Committee A, when its sponsor, Senator Bret Allain (R-Franklin), asked that it be deferred. He knew he didn't have the votes—had there been a roll-call vote, we’d have beaten SB 531 by a vote at least of 5-2 and possibly 6-1. Rather than accept defeat, Sen. Allain did something highly unusual. He gutted an entirely different (and as yet unknown) bill currently scheduled to be heard on Thursday, May 1, by the Senate Natural Resources Committee—and substitute in its place what he couldn’t get passed by Judiciary-A. It's even possible that our old friend Senator Robert Adley will use one of his bills as a vehicle for this Trojan horse. At of this writing, we do not know which bill to target—we’ll let you know as soon as we do—nor do we know what the language of the bill will be. That's hardly my idea of sunshine in the legislature. All we know is that it will be called up in the Senate Committee on Natural Resources on Thursday, May 1. Please contact the members of this committee. Tell them, “Let the courts decide.” Let the roughly one million people within the jurisdiction of the Southeast Louisiana Flood Protection Authority keep their rights to go to court. Senator "Jody" Amedee 2109 S. Burnside Ave. Senator Jean-Paul J. Morrell 6305 Elysian Fields Ave.
You’ve defeated this bill once. Let's beat it again. As I’ve said before, history doesn't just happen. People make history. Let's make some history. Let's take back control of our state. Let's demonstrate that no one is above the law—not even the oil industry in Louisiana.